DICE’s highly anticipated shooter Battlefield 3 launches tomorrow in the US, and it looks like retail copies of the game have a teaser leaflet for one of EA’s other shooter franchises. 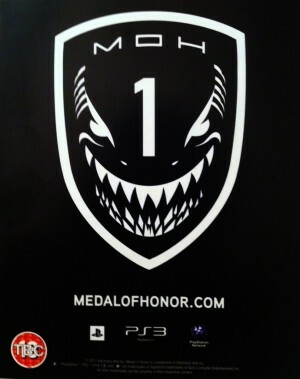 If you check out this unboxing video, you’ll notice that inside the game’s packaging, there is a very unambiguous pamphlet that features an angry face and the initials MOH. While it shouldn’t come as a surprise to anyone that a new Medal of Honor is in development, I doubt anyone was expecting Electronic Arts to tease it within Battlefield 3. Danger Close, the team behind the Medal of Honor reboot that launched last year has already confirmed that they are working on a sequel, because, despite the rather mixed reviews, the game has gone on to sell incredibly well. The only question is, will DICE be back to work on the game’s multiplayer, or will the be too busy working on Battlefield 4 to lend a helping hand?